Community service continues to shape NSLI-Y participants’ interaction with their host country in a manner that transcends spoken language: volunteering. 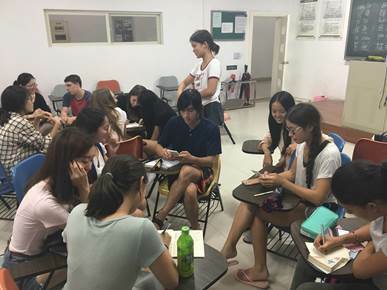 By volunteering, NSLI-Y students continue to study their target languages outside of the classroom by engaging and helping locals. Read part 3 out of 3 of our series below. NSLI-Y Chinese students began their summer community service project, which focuses on reducing waste from plastic bag usage throughout the city. The project began with groups of students designing surveys to conduct with local citizens, with questions ranging from “How many plastic bags do you use per day?” to “What are your opinions on environmental pollution?” After translating their surveys into Chinese with help from their language partners, students spent their second day of community service interviewing individuals on the Beijing Normal University Zhuhai campus to gain insight into local views and perceptions of waste. 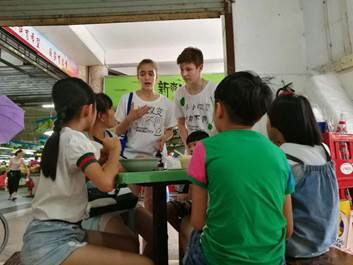 NSLI-Y Chinese students also completed their final hours of community service by traveling to Zhuhai’s Qingzhu community to initiate conversations with neighborhood residents about awareness of plastic waste in China. 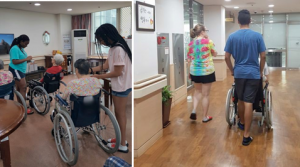 After teaming up with peer volunteers at Qingzhu’s Community Center, the students were taken to various locations in the community to meet local residents. As a group, students spoke to over 100 Qingzhu residents and received many signatures on their self-designed team t-shirts. Signatures demonstrated that a resident understood the student’s campaign for greater awareness and that they would begin to be more conscious and aware of plastic waste in their daily life. It doesn’t just stop there – NSLI-Y Chinese students also volunteered at Xinxin Nursery School, which is a care center for young children with autism or other disabilities. Students spent time with the children – talking, drawing, and playing with them. 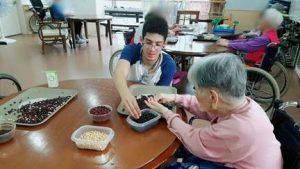 They felt that they learned something about the care of children with disabilities in China while at the same time enhanced the experience for the children and helped the center. NSLI-Y Arabic participants volunteered at the Jordanian Clothing Bank. The Jordanian Clothing Bank receives many donations from universities, government institutes, international organizations, and individuals. The students volunteered for 4 hours sifting through clothes and putting them in appropriate bins to be distributed to community members in need. In spite of the heat, students stayed positive and sifted through over 100 bags! 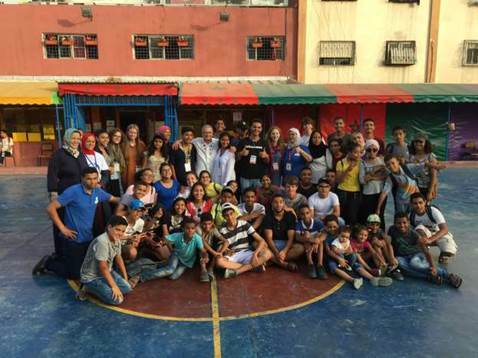 NSLI-Y Arabic participants also spent the afternoon volunteering with children and youth at the Sidi Moumen Cultural Center. Sidi Moumen Cultural Center is a multi-purpose center run in one of the poorest neighborhoods in Casablanca, serving youth, as well as women and other community members, encouraging them to volunteer and be in charge of their own lives. The NSLI-Y students participated in and led various activities during the summer camp sessions already being held at the center.